Michael Campbell was killed in action at Isandhlwana on 22 January 1879. Having deserted shortly after enlisting, he was apprehended and sentenced to 336 days imprisonment, June 1876. In October 1878 he was sentenced to imprisonment for 252 days, but this appears to have been remitted. Alfred and Thomas Newberry, brothers killed at Isandhlawana. 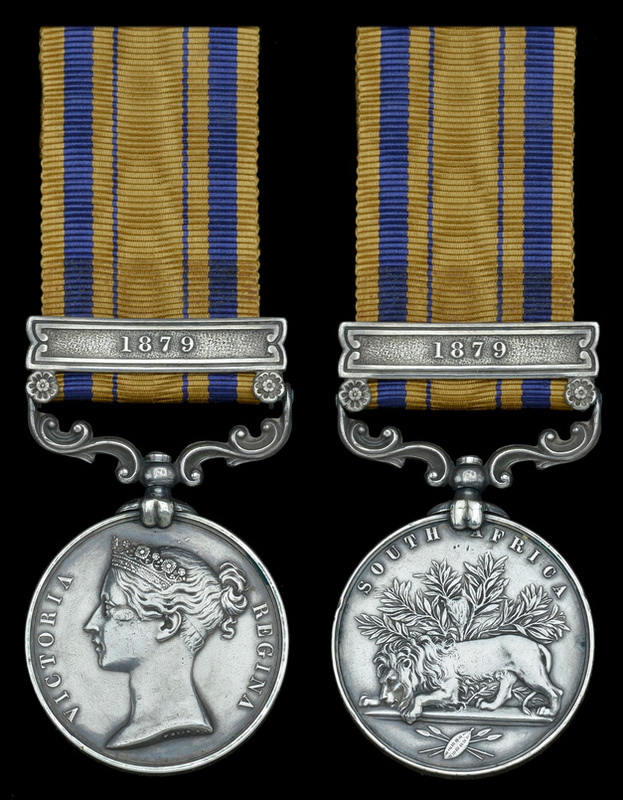 South Africa Medal 1877-79, clasp 1877-78-79 engraved, in slightly sloping capitals. Private William Freeman is listed as Killed in Action at Isandhlwana in the casualty roll. From the next DNW auction in September. Sergeant John Clarkson was killed in action at Isandhlwana on 22 January 1879. From the next Spink auction. SAGS (1) 1877-8-9 (1890 Pte. N. Kempsell, l/24th Foot). Nelson Kempsell was bom at Chipstead, Surrey in early 1855, the son of Kennard Kempsell, a carpenter, and his wife, Patience. He was baptised at ‘Kingswood by Reigate’ on 18 March 1855; the 1871 census reveals that young Nelson originally found employment as an agricultural worker and that his family was living at 91 Charlwood’s Bottom at Chipstead. Shortly after his enlistment in the 24th Foot, he was posted to the 1st Battalion in Gibraltar in April 1872. His career got off to an unhappy start, regimental musters revealing a spell in hospital, followed by two days in a military prison. In early 1875 the Battalion was embarked for the Cape of Good Hope, where Kempsell again found himself in confinement at Simon’s Town, losing his recently acquired Lance-Corporal’s stripes. Otherwise employed on garrison duties at Cape Town or King William’s Town, he was called to arms in the operations of 1877-78. As stated, he was subsequently killed in action at Isandhlwana on 22 January 1879. His effects were claimed by his father. The marble wall plaque erected to his - and Edward Flint’s memory - at St. Margaret’s, Chipstead was paid for by J. G. Cattley, Esq., a former employer of both men. Cattley, a Yorkshireman and a director of Royal Exchange Assurance, owned the nearby 500-acre Shabden Estate. 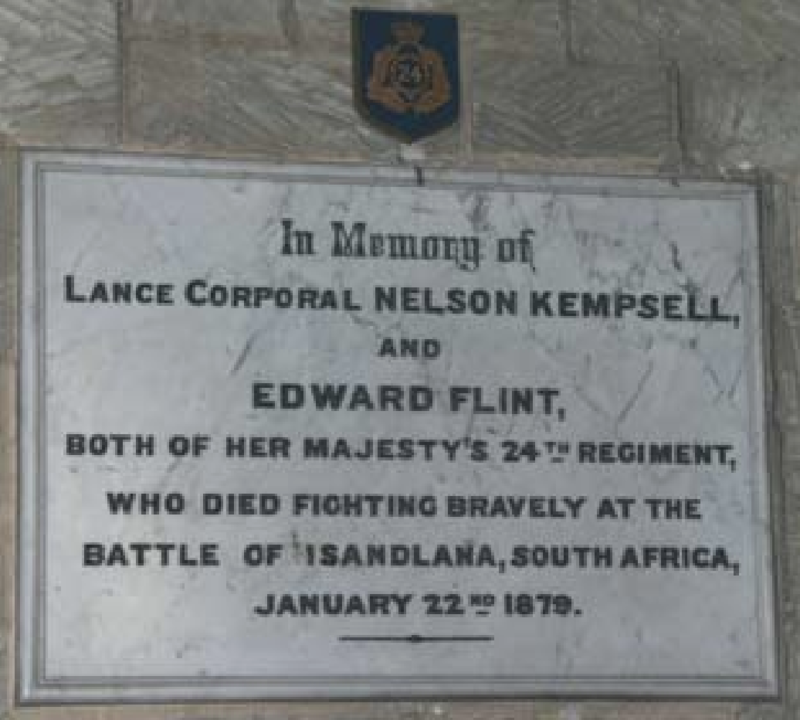 This presents the likely scenario that Kempsell and Flint were onetime employed as agricultural workers on his estate and indeed fought side-by-side - and fell together - at Isandhlwana; sold with copied research, including muster rolls. SAGS (1) 1879 (648 Pte W Nicholas, 1/24th Foot). Lusted February 1975 £265. 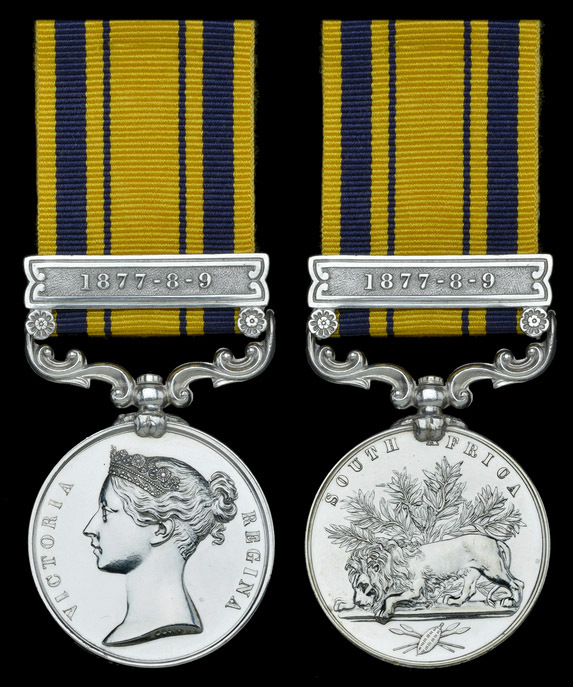 Lusted notes that the 1879 clasp is not common to an Isandlwana casualty.